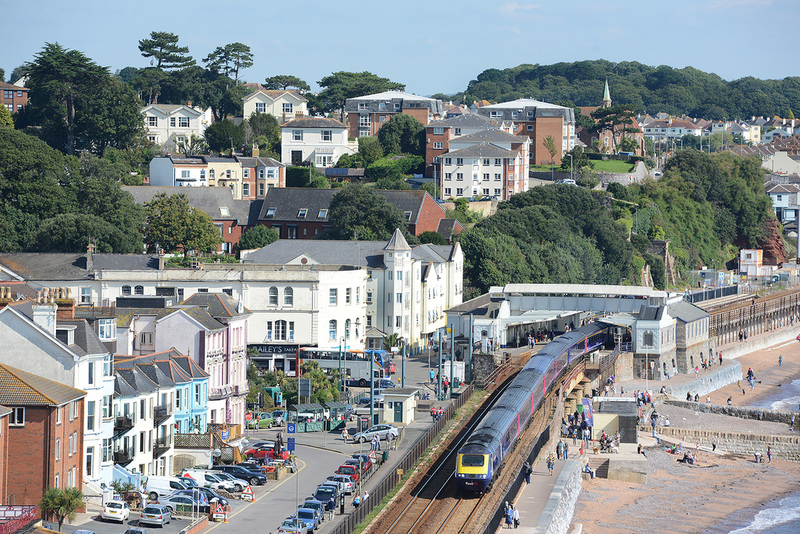 The GWR HST set formed of 43188, LA15 and 43187 passes Dawlish on 30 September 2015 forming train 1C77, the 10.06 Paddington to Penzance. Its that time of year again! Roll out the RHTTs. 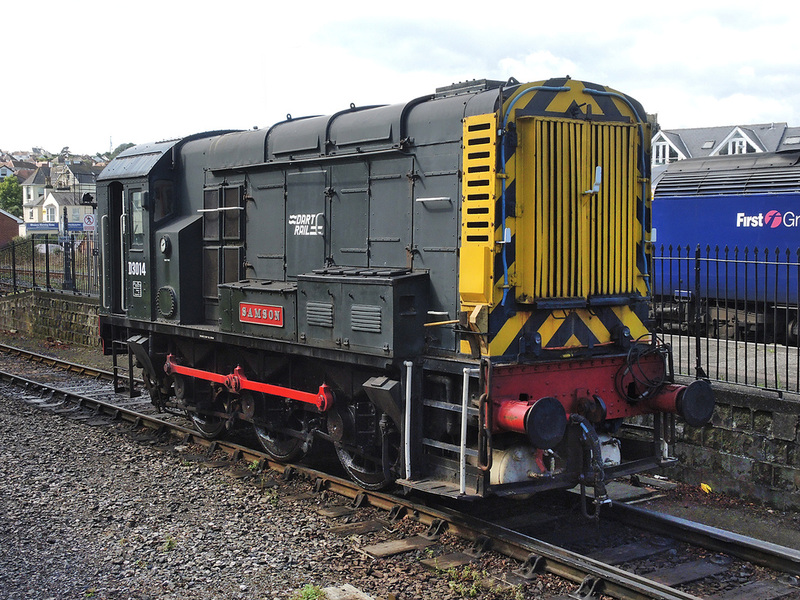 On 30 September 2015, two Network Rail RHTT vehicles Nos. 642035 and 642020 were 'top and tailed' by EWS-liveried Class 66s Nos. 66138 and 66061 and worked train 6Z15, 09.15 Westbury to St Blazey, a positioning move for the train. 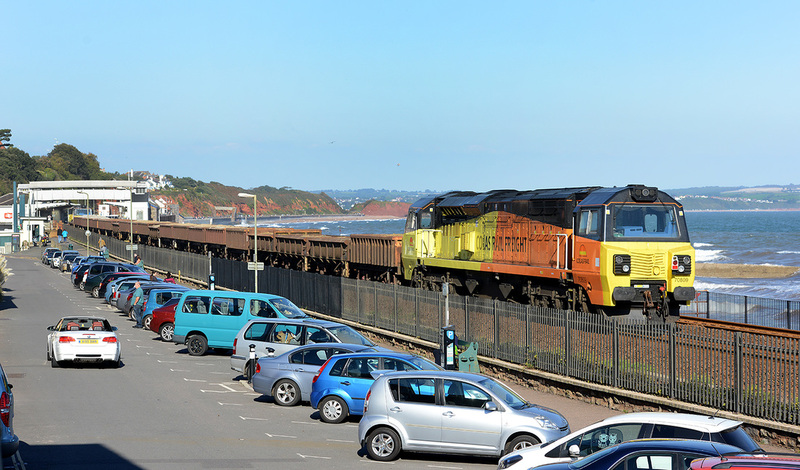 The working is seen passing Dawlish. I guess this Great Western Railway green-liveried HST set don't look too bad in good light. 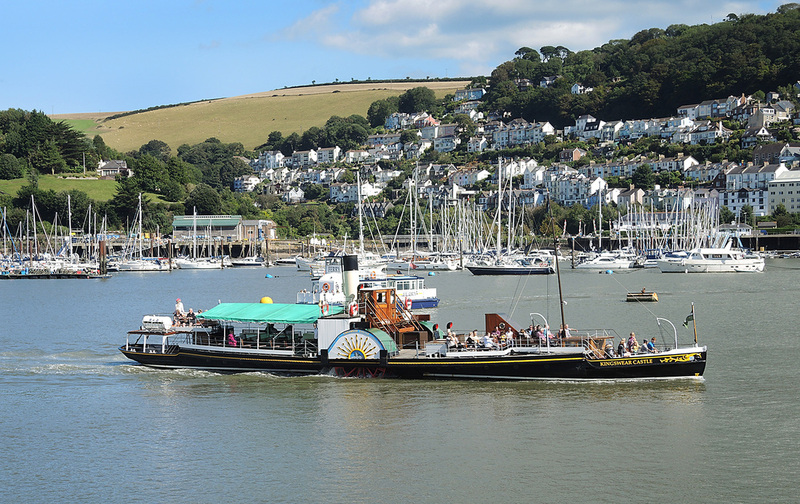 1A83 10.00 Penzance - Paddington on 29 September 2015 approaching Shaldon Bridge, Teighmouth. Formed 43187, LA15 and 43188. 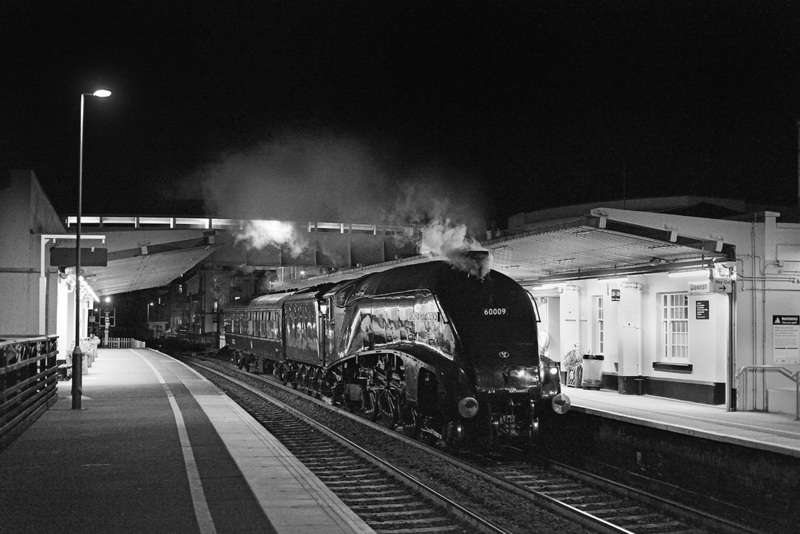 Great Western Class 43 No. 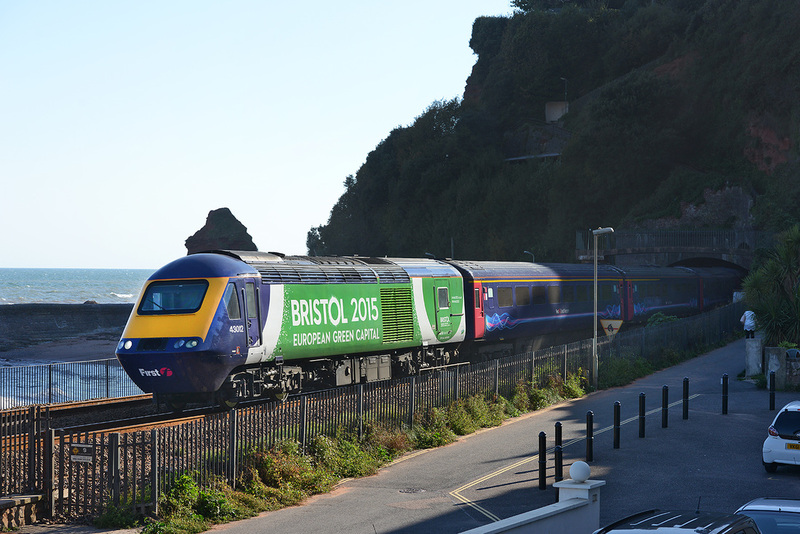 43012, the second to carry the Bristol 2015 livery, emerges from Kennaway Tunnel on 27 September 2015 leading train 1A27, 15.12 Plymouth - Paddington. 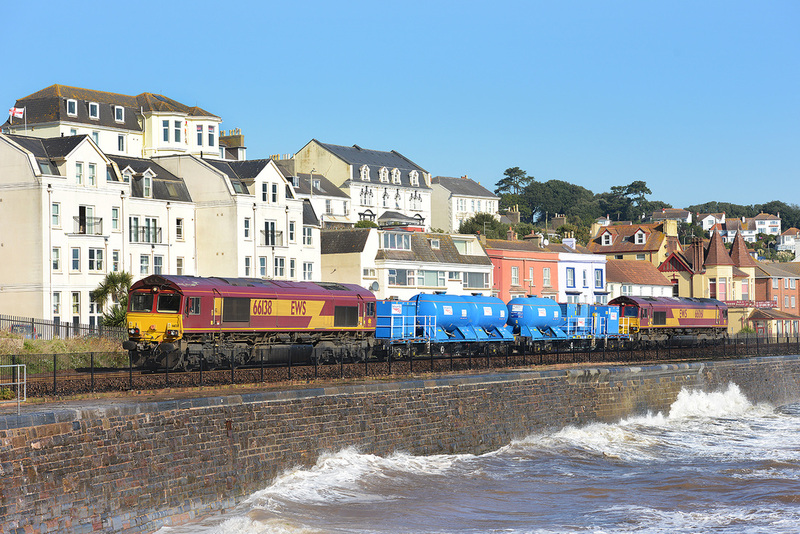 70808 and 70809 pass Dawlish on 27 September 2015 powering works train 6C20, the 10.10 Largin to Westbury running 236 minutes late. 70808 emerges from Kennaway Tunnel on 27 September 2015 powering works train 6C20, the 10.10 Largin to Westbury running 236 minutes late. West Coast Railway Class 47 No. 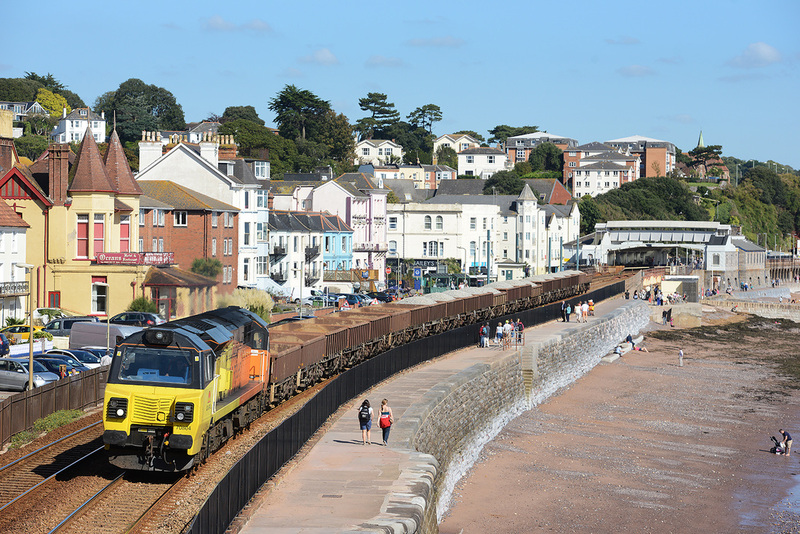 47760 heads west at Dawlish on 27 September 2015 working charter 1Z50 the 08.34 Slough to Kingswear. 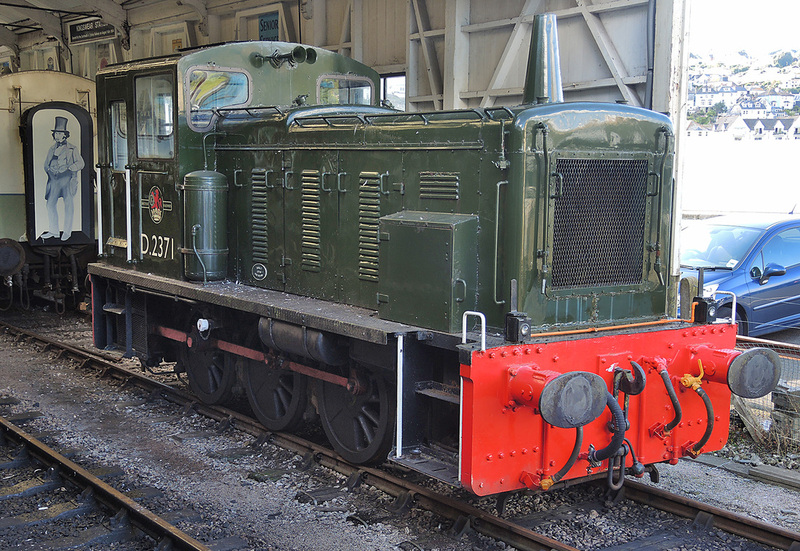 This train should have been steam powered but due to gauging issues had to be diesel powered. Class 70 No. 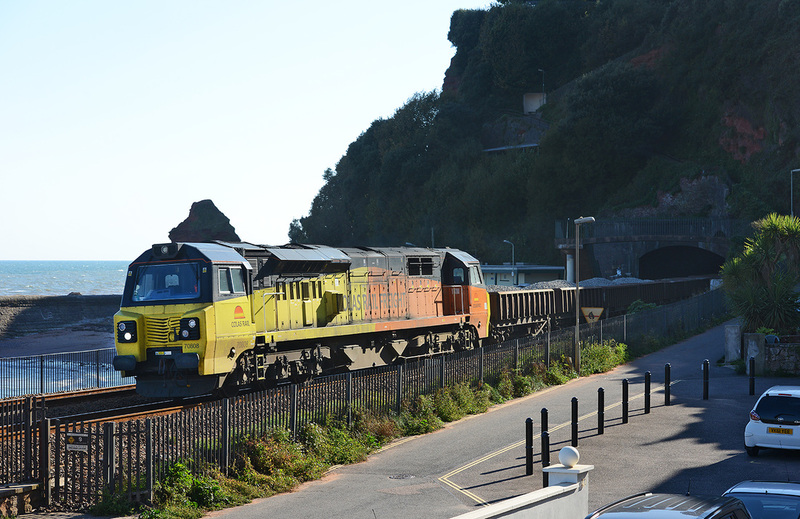 70801 heads towards Dawlish station from Kennaway Tunnel on 27 September 2015 with works train 6C21, the 09.08 Largin to Westbury, running 90 minutes late. Heading a rake of loaded Network Rail ballast hoppers, Colas Rail Freight Class 70 No. 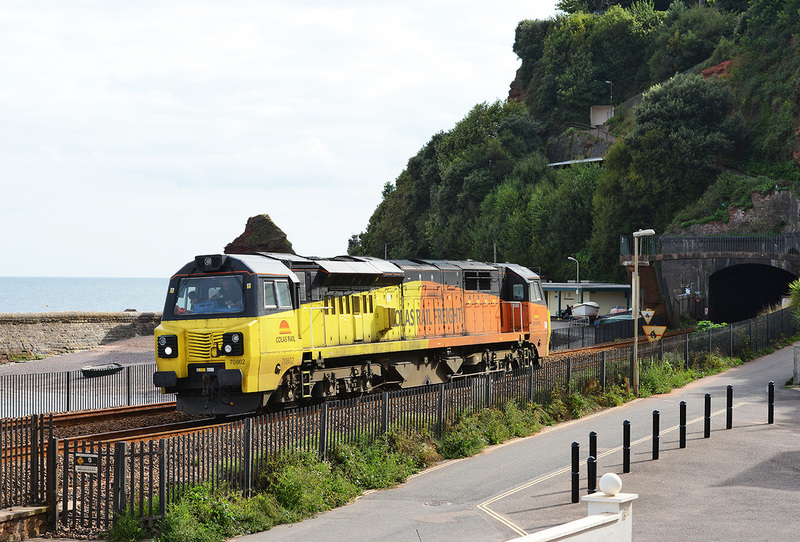 70806 passes Dawlish station on 27 September 2015 with train 6C26 the 10.47 Westbury to Largin. Great Western Railway green-liveried Class 43 No. 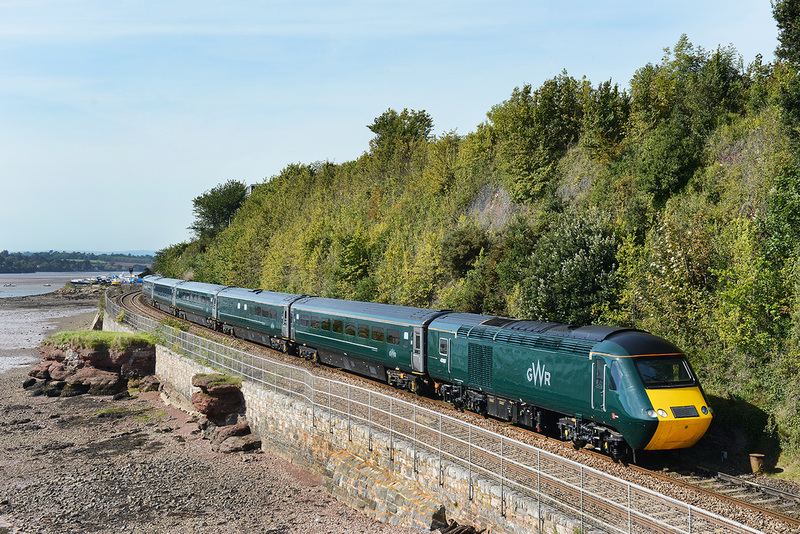 43187 passes Dawlish in the last embers of sun on 26 September 2015 leading train 1Z30 the 15.05 Newbury Racecourse - Plymouth via Bristol. Still not sure about this livery! After almost three weeks of photographing big GEs and GMs in the US its back to taking small GEs in the UK. Colas Rail Freight No. 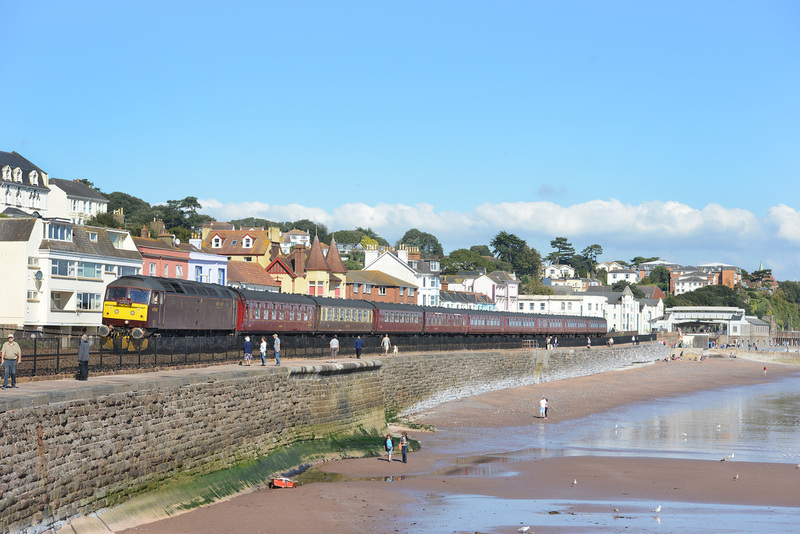 70803 passes Dawlish on 26 September 2015 powering train 6C25, the 09.36 Westbury to Par running 70mins early. After almost three weeks of photographing big GEs and GMs in the US its back to taking small GEs in the UK. Colas Rail Freight No. 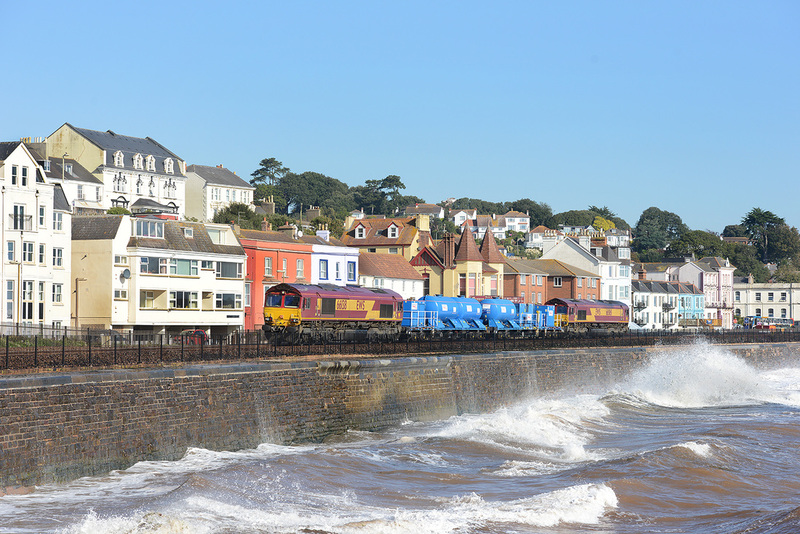 70804 passes Dawlish on 26 September 2015 powering train 6C24 the 10.28 Westbury to Par. 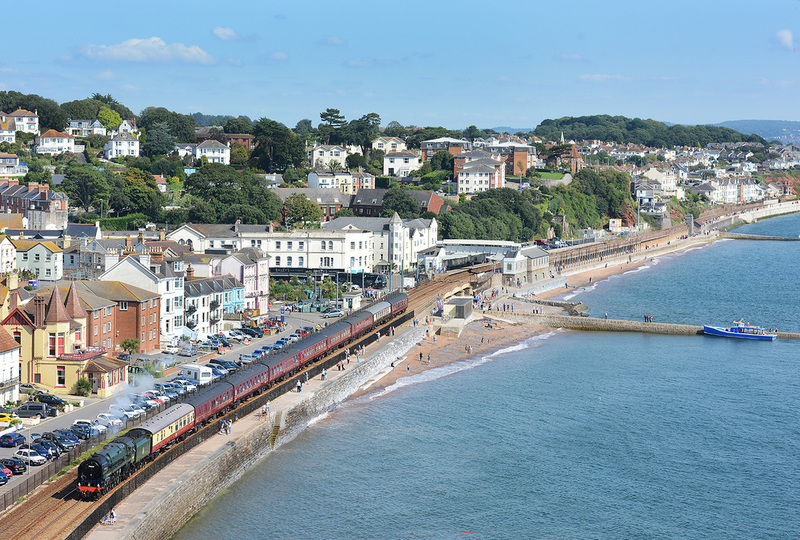 Viewed from the top of Lea Mount, the highest point overlooking Dawlish, BR Class 7 No. 70000 Britannia heads west on 6 September 2015 powering train 1Z37 the 08.50 Bristol Temple Meads to Par 'Royal Duchy'. 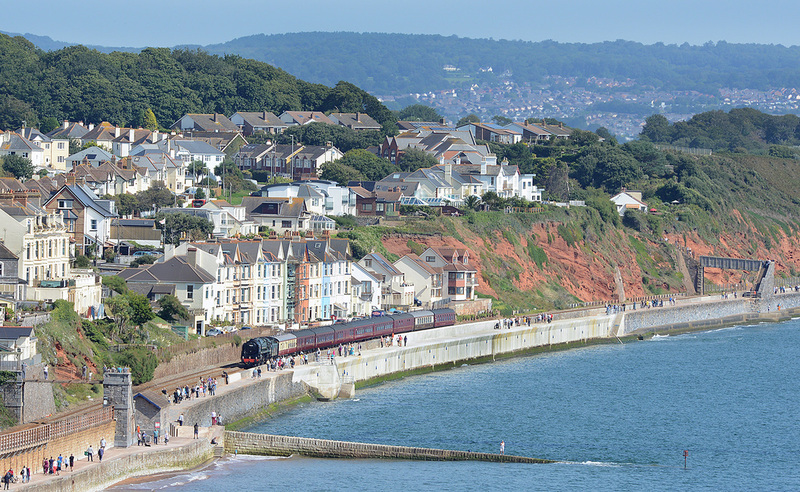 Viewed from the top of Lea Mount, the highest point overlooking Dawlish, BR Class 7 No. 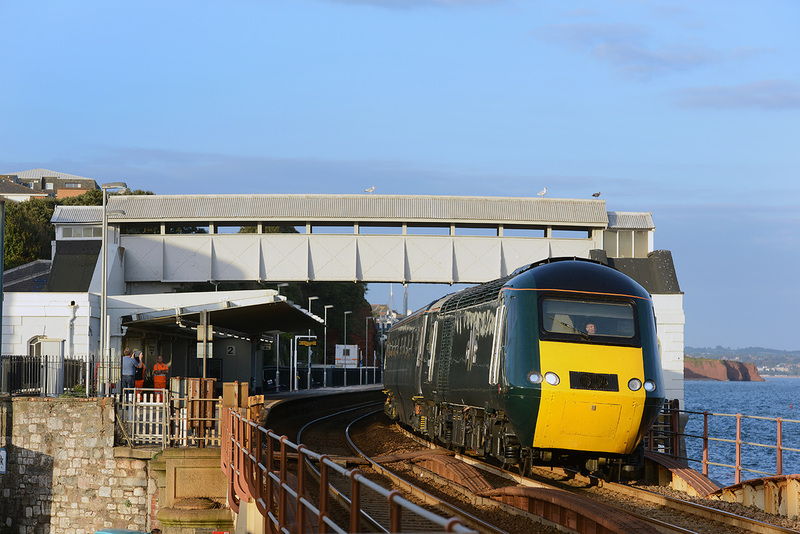 70000 Britannia heads west on 6 September 2015, passing the recently opened raised walkway between Coastguards and Rockstone Bridges, powering train 1Z37 the 08.50 Bristol Temple Meads to Par 'Royal Duchy'. 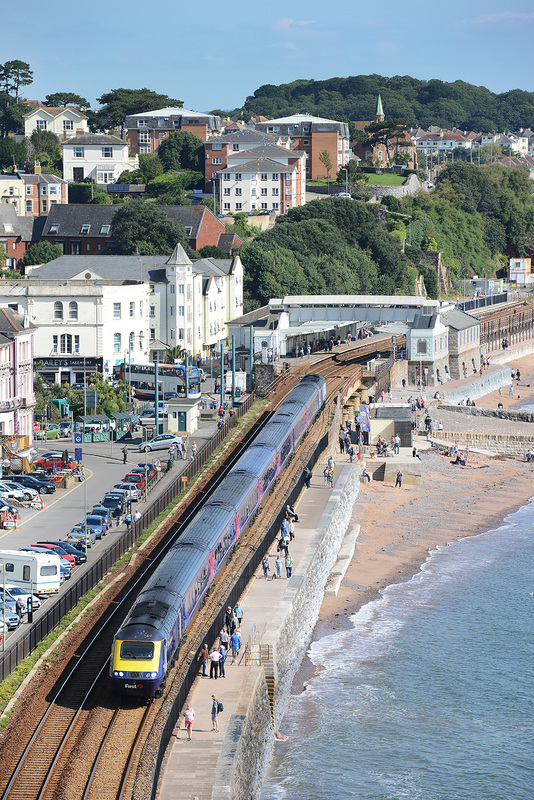 43063/-/43025 pass Dawlish on 6 September 2015 forming train 1C76, the 08.57 Paddington to Penzance. 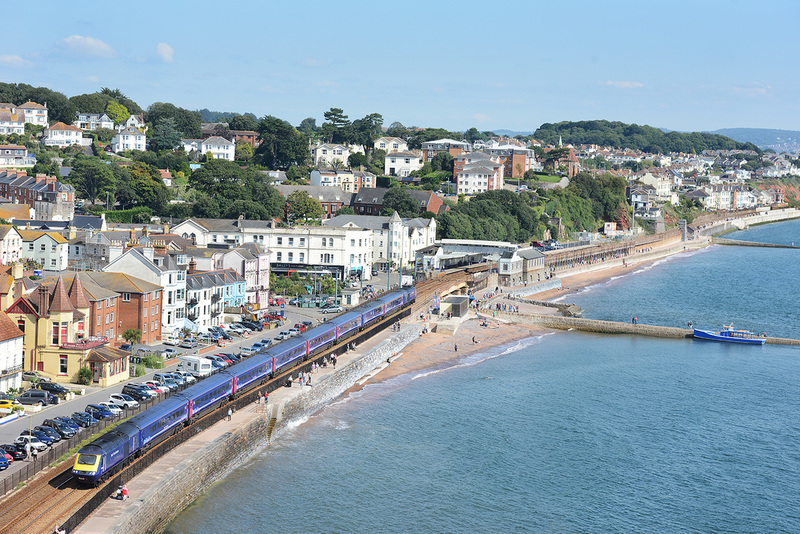 43030/-/43163 pass Dawlish on 6 September 2015 forming train 1C05, 07.57 Paddington to Penzance. Colas Rail Freight No. 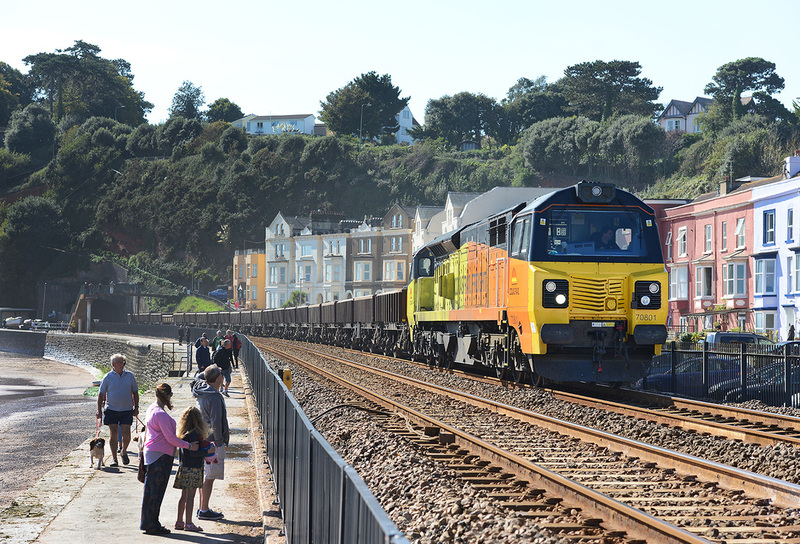 70802 has spent a nice three day holiday in Devon and Cornwall, visiting such haunts as Plymouth, Newton Abbot and Par, having two nights hotel accommodation at Plymouth North Road. All good things come to an end and on Saturday 5 September 2015 it was made to return to its sanctuary at Westbury, running as 0A70 11.30 Plymouth to Westbury but not before a final trip to Newton Abbot and Par was made. The holiday maker is seen emerging from Kennaway Tunnel. A day out to the seaside. 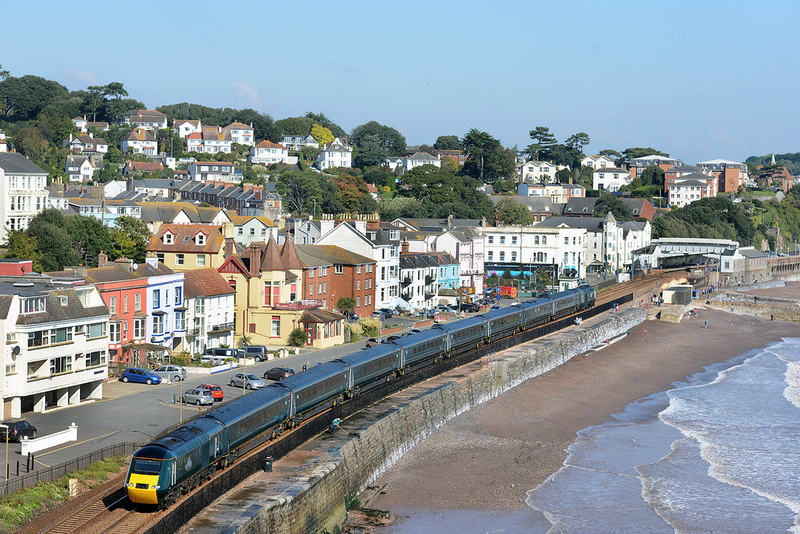 UK Railtours special to Paignton on 5 September 2015, the 1Z14 07.10 Northampton to Paignton powered by silver Class 67 No. 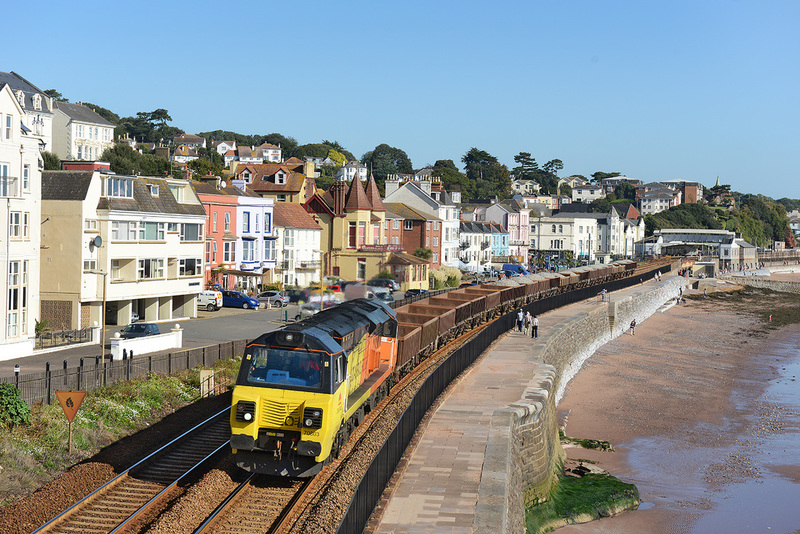 67029 heads towards Kennaway Tunnel, Dawlish. At 22.00 on the evening of 3 September 2015, A4 No. 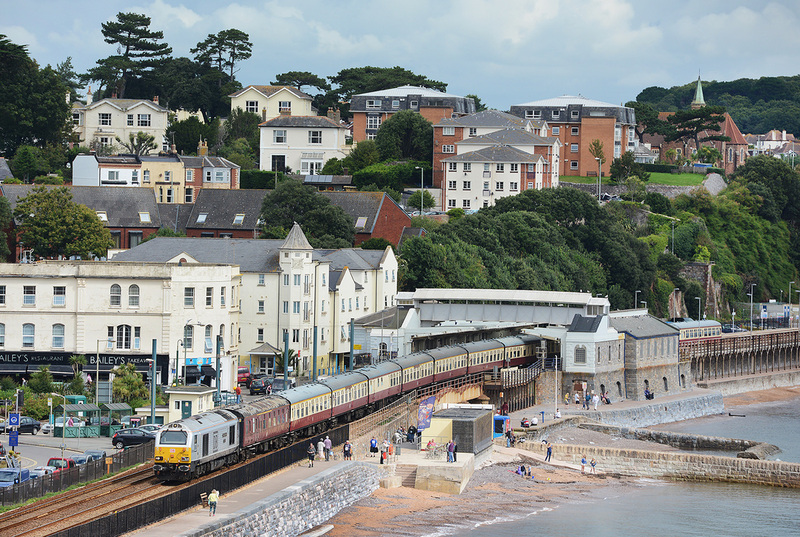 60009 Union of South Africa stormed through Dawlish working train 5Z28, the 19.26 Totnes (from Buckfastleigh) to Bristol Barton Hill, following repairs to a defective big end which was found a couple of weeks prior while working a charter from Bristol to Par. Taken on a Nikon D800 with a 50mm f1.4 lens with an ISO of 6400 and an exposure of 1/500 f 2.8 The image was recorded in Nikon Raw format and processed in NX2 and Adobe Photoshop. Not sure if I like the colour of mono version. 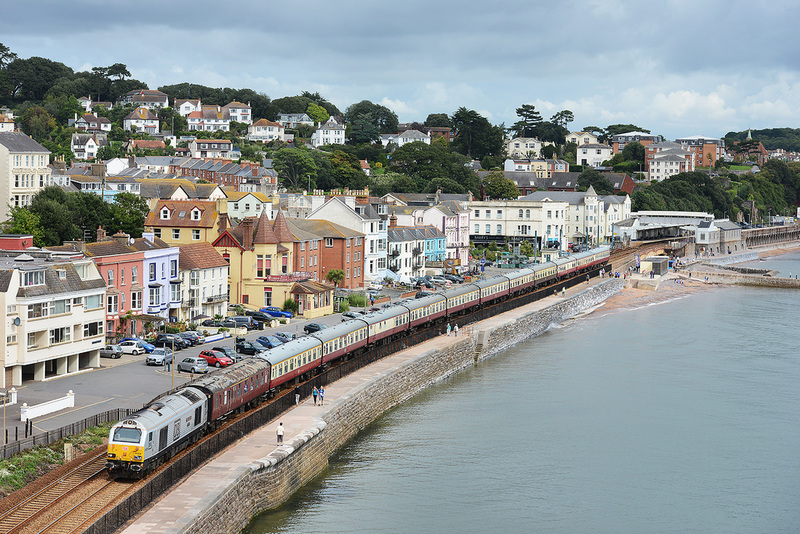 7827 Lydham Manor approaches Kingswear on 1 September 2015 powering the 15.45 service from Paignton Queens Park. 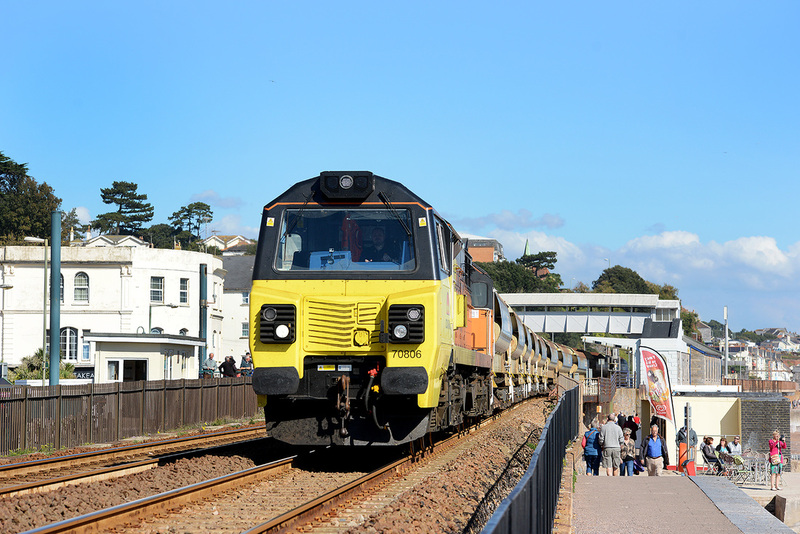 D3014 Paignton Queens Park station, 1 September 2015. 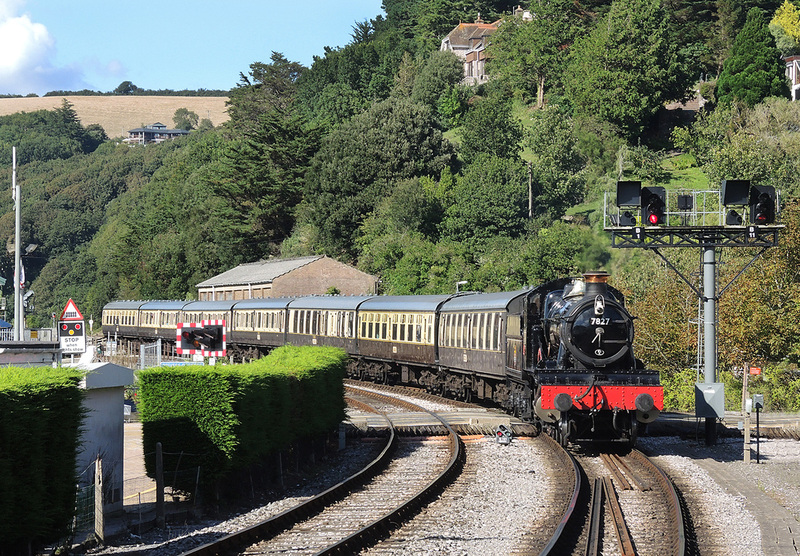 D2371, Kingswear station. 1 September 2015. 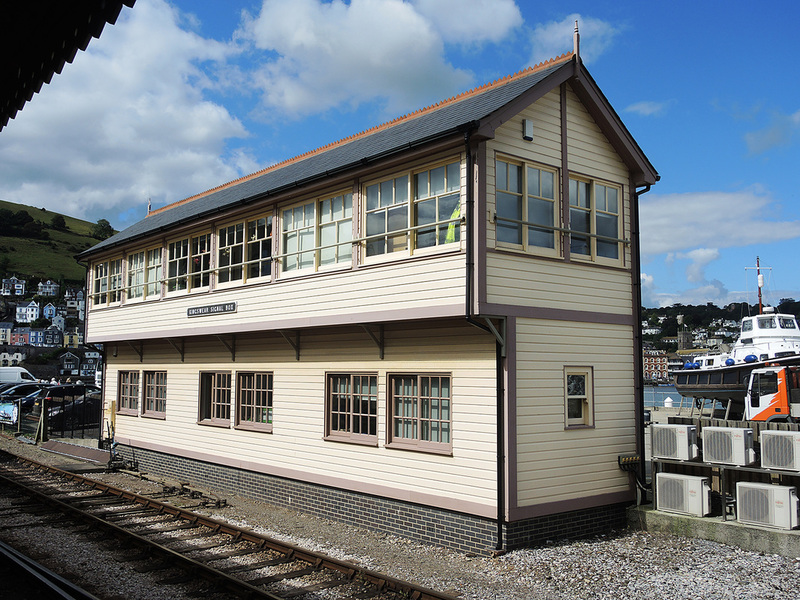 The recently constructed Kingswear Signal Box. 1 September 2015. 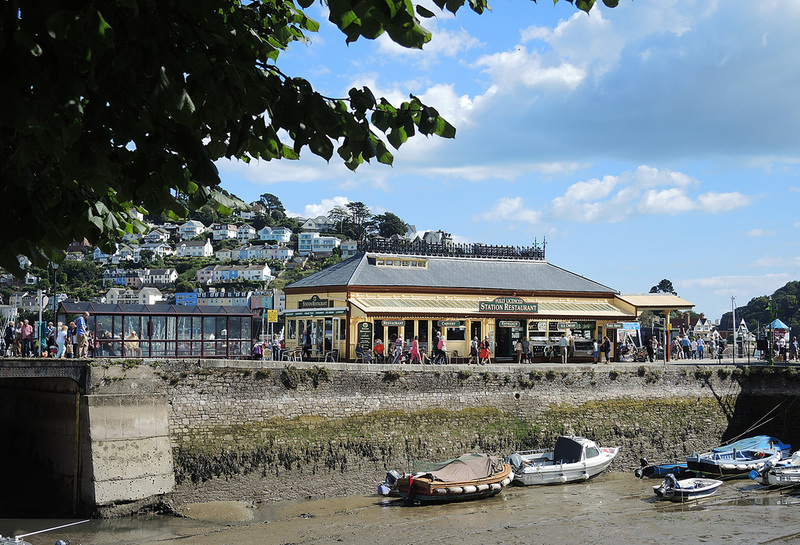 The station with no trains - Dartmouth Station, 1 September 2015. 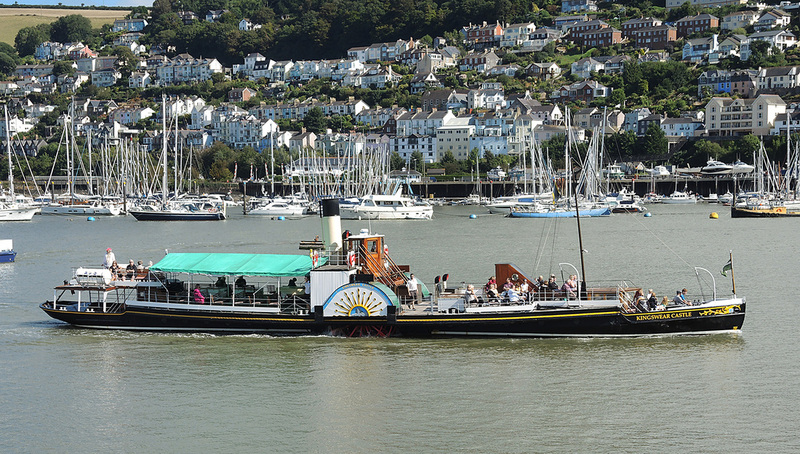 Paddle Steamer 'Kingswear Castle, Dartmouth 1 September 2015.